Healthcare International is a premier international health insurance company. 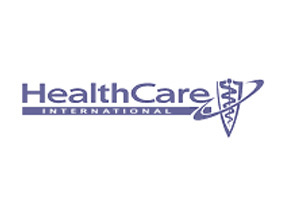 Headquartered in London, and established in the early 1980’s, Healthcare International is dedicated to providing expatriates with first class health insurance. Realizing that medical costs worldwide are extremely high, Healthcare International focuses on offering affordable, yet high-quality health insurance to its customers. By offering simple, transparent, and effective health insurance products, Healthcare International gives you and your loved ones the insurance you need to achieve peace of mind while overseas. A dedicated customer service team ensures that you will receive the highest level of attention and care in your times of need. All of Healthcare International’s policies are designed to be flexible and will address any future concerns that may arise from the ever changing medical services industry. Healthcare International is able to respond to all of your needs, whatever and whenever they may be. "What a comprehensive plan Healthcare International offers! I purchased their Healthcare Executive plan last year through Pacific Prime Brokers in Hong Kong. When I went to purchase new contact lenses, I was happy to learn that my plan covered the cost. I have recommended this plan to my friends and family." "I recently traveled to Puerto Vallarta for vacation and my passport was stolen from my hotel room. Consequently, I had to stay in Mexico for longer than planned. I checked my insurance policy and was ecstatic when I learned that Healthcare International would pay $250 for my situation. This helped cover some of the extra costs I had to cover because I was stuck in Mexico! I highly recommend Healthcare International for travel insurance."